Join us this Christmas for the pantomime you wished for! Follow our hero Aladdin and his Mum, Widow Twankey, on an adventure from rags to riches as they defeat the evil Abanzar and win the hand of the Sultan's daughter Princess Jasmine. ‘Aladdin’ by TaleGate Theatre Productions is full of Eastern promise. 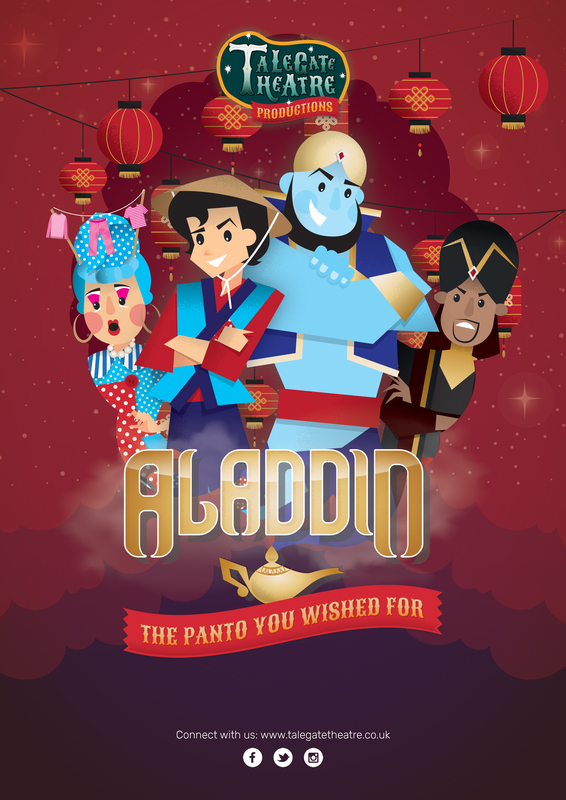 Packed with songs, slapstick, silliness, audience participation and all the magic of traditional pantomime! This fun-filled extravaganza is guaranteed to delight the whole family.